Is Spam a form of Marketing/Advertising? 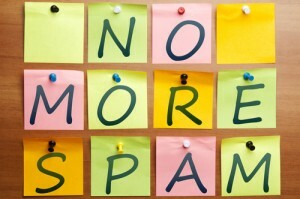 Arguably, spam forms part of the email marketing tool used by marketers for direct advertising. We never asked for or subscribed to most marketing messages that we receive on a daily basis. So how is spam different? Let’s first take a quick look at the predecessors of spam – techniques that marketers have used and are still using – some of which have been over abused and are thus illegal or restricted. Advertising mail is probably the first type of direct marketing used to sell a product directly to the consumer. It was also the first to be termed Junk mail, since it was over abused by marketers, and people started seeing it as a nuisance. Advertisements are found in newspapers and magazines mixed up with interesting articles where the ratio of articles to advertisements varies depending on the publication, with some publications having a section for adverts, whereas others having articles hiding a discreet marketing message. Radio and TV commercials are another nuisance that we have to endure on a daily basis. Some stations are dedicated to simply selling stuff, whereas others mix their ads into the mix of Indiana Jones movies, CSI TV series and Jerry Springer talk shows. There are other similar techniques used to promote a product or brand. These include door to door leaflet delivery, broadcast faxing, cold calling aka telemarketing, voicemail marketing and last but not least billboards. While writing this article, I recalled the frustration I felt every time my Rambo film was paused in the middle of the action or the countless ad pages I have to lead through in a newspaper to get to the Sports section at the end. But at the same time, we are tolerant to such marketing content. However we treat spam very differently – we do our best to stop that. Why do we need to subscribe in order to receive spam? I never subscribed to the billboards on the side of the highway. Compared to all the marketing techniques described above, email marketing is the cheapest way of sending a marketing message to millions of people. Being so cheap, it is the tool of choice for marketing teams with a small budget trying to sell cheap products. Most of the times, such products do not deliver what they promise. Most of the marketing techniques described above deliver something useful. This is true for newspapers, magazines, TV and radio. These media would not be free, or would be much more expensive had it not been for the ads. Unfortunately with email marketing, you run the risk of being exposed to malware and fraudulent emails. Worms and viruses often make use of email and spam techniques to propagate. Phishing emails and Nigerian 419 scams are examples of fraudulent emails which try to harvest either your money or your personal information including credit card details. Similar to junk mail received at your home mailbox, spam frequently gets mixed up with emails from friends, colleagues, and bosses. And probably this is the thing that we hate most about spam – the fact that it is sometimes difficult to distinguish a legitimate email from a spam email at first glance. So while email marketing is the tool of choice for most marketing teams, it does require stringent regulations to ensure that it does not get abused. Some countries have updated their regulations to cover spam, but others still have to catch up. In any case, regulations are not stopping cheap email marketers and fraudulent emails and until that happens, it is wise to make use of a good anti-spam product. I think the big difference is that if a station sells their ad time, a paper sells paper space, and so on and so forth, there is a certain standard that needs to be upheld for integrity’s sake. Spam is so independent and rogue in its marketing tactics, and like you said, there’s so little overhead compared to paper mail, that there’s no real place to complain about the kinds of messages being received. A fair degree of spam can be considered somewhat offensive to more sensitive folks. Where do you write to to put a stop to that? That’s why we fight it more aggressively. Spam is the bad side of marketing / advertising. YES, it is a form of marketing. As long as their is online marketing, spam will exist. Spams evolve just like any other types of marketing. Spams also require extensive research, survey, funding, trial / error, and the likes – JUST like any other types of marketing. You point quite correctly why spam is worse than the other marketing techniques – it is not only annoying, it is also a security risk. Though, on the other hand, when you drive past a billboard and you get distracted by the ad there, this is also a security risk. Maybe because fatalities happens relatively rarely, we don’t consider the risks of billboards for drivers and pedestrians. Spam is such a disaster mainly because it is cheap. However, I doubt that marketers consider the negative effect spam has on the brand image. Or maybe they don’t care about brand image because they simply have none? I used to remember the simple times way back in the 80s and the 90s. Marketing then was simple and direct to the point – with little or no fuss at all. With the growth of the Internet, the development of email, and the boom of the social media, marketing has also evolved. Many people see this transformation as hindrance. But I see it as a change towards better and more effective marketing. We just have to diminish (if not completely eradicate) spams. Elain, we can’t and don’t have the means to completely eradicate spam. And diminishing spam to its minimum level will take some time – at least 20 years. This is because spam technology is also evolving and growing. Just like you’ve said, spam can take new grounds. It was once mainly used in emails. But now, it also invaded social media. Let’s face it people, spam is marketing. We can’t do anything about it. Spam will be forever part of our lives.